I’ve been working on e-waste so far, and since the beginning of my 2nd year in master’s study, I started framing my thesis with this topic. “What’s left behind when digital technology develops?” This is the main question that made me start to work on e-waste as my research project. Our society is developing more technologically and digitally than ever. As this development accelerates, more and more new digital devices are produced at a fast pace. However at the same time there is as much digital trash being made. Right after today’s launch of new electronic devices, yesterday’s new technologies become obsolete and thrown away. As Zygmunt Bauman mentioned in his book Wasted Lives: Modernity and its Outcasts(2003), electronic devices now became disposable and ephemeral, and no longer have a long-lasting value on it as it had been before. Thus being thrown away at a fast rate, these short-lived devices are becoming digital rubbish, causing environmental, societal and ethical problems all around the globe. Digital waste in itself demonstrates the error and catastrophic aspects of digital technology development in our lives. Considering this aspect, it’s no doubt that electronic waste should be dealt with as a serious problem. But I also feel a kind of sympathy for electronic waste. Because we humans are also constantly suffering from the fear of being useless and worthless and left behind to a dumpsite in our society. For example, the loss of economic status, social status, and the legal protection of society. The sympathy for the same fate of ‘wasted lives’ for both e-waste and human beings. Thus I would like to talk about e-waste not only as pointing out its problems (anthropocenic side), but also want to address the same ontological situations(becoming wasted) we human go through at this ‘liquid’ modern times(from Bauman’s view)1. The development of digital technology is deeply intertwined with consumerism, neoliberalism, and (post)Fordism. But the life of human as a consumer doesn’t seem to be different from the fate of consumer products. Thus, from this sympathy for e-waste, which have lost their value and usefulness as the interface they were previously designed as, I would like to create a new value for these discarded existences. However the value I want to newly discover is different from the one prescribed in consumerism. The value in consumerism is given only when it’s consumed and useful. (Lauwaert & Westrenen, 2017, p.23)2 But at the same time this value should be very temporary so that it can quickly give room for the new products. (Bauman, 2008, p.215)3 Therefore, ironically, from the beginning products are designed to lose value quickly and become useless. So this temporary value makes them valuable. And those that have lost value become the waste of our society. Beyond this existing value system that inevitably results in losing value and being dumped, I aim to create playful, fun, and unconventional values for discarded electronics. The technological development needs to be designed with alternative approach considering sustainability and beyond anthropocene, neolibaralism, and consumerism. Also we can re-think and re-appropriate existing errors and failures of digital-techno developments with the new perspective and value system. And I believe a new activity or action based on this point of view can be achieved by artistic research and work. 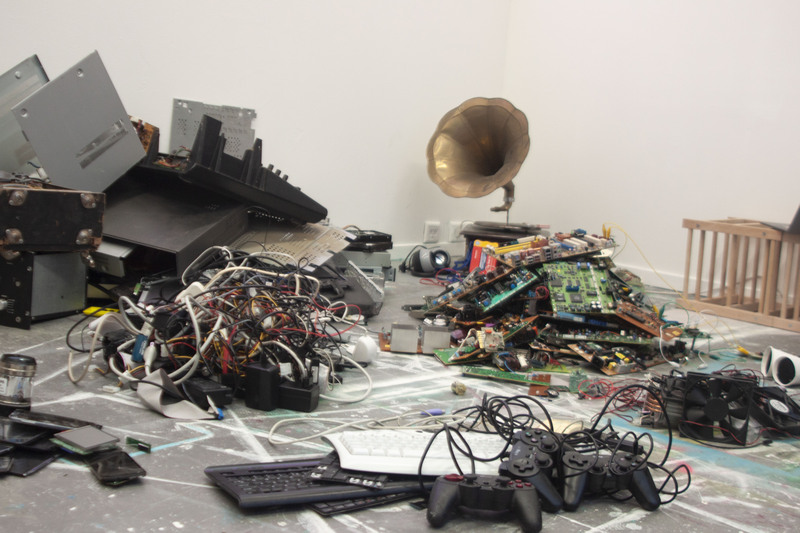 Therefore I would like to dive into the theme of ‘electronic waste’ to reveal errors of technological development as well as to suggest new ways of dealing with digital trash. My artistic research will proceed in the long run, but the first step is making musical instrument with electronic waste. By making electronic waste visible and audible to the public, I would like to demonstrate a new(e.g.playful) value of it. My work is based on 3 axes: Reserach, Making(creating), and Performance. 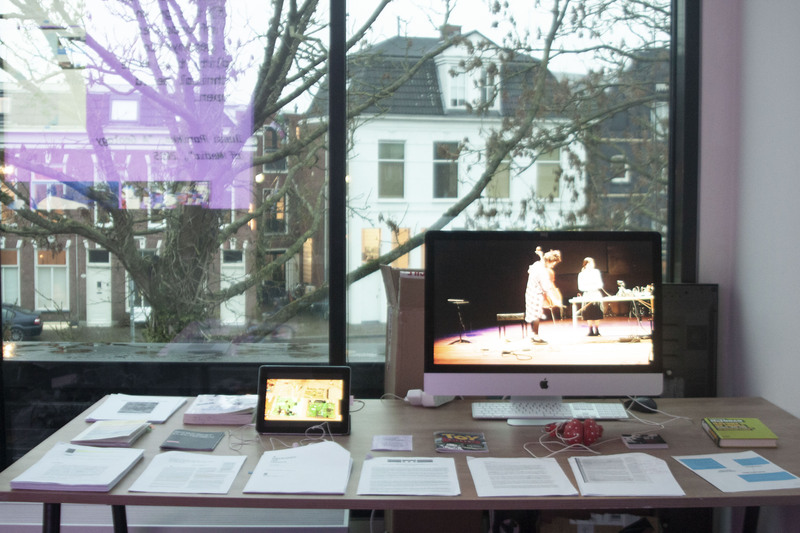 First, the research part consists of theoretical research on digital rubbish as well as several theories in media studies, sociology and ecology. In addition, practical research for hardware hacking, circuit bending and building circuit instruments will be done for making part. On the making part, I’ll keep developing and making musical instrument with electronic waste. My goal is to make variety of instruments with different components and methods . For example, I’ve been making basic analog synthesizer with e-waste so far, but I want to try circuit bending or find more possible ways to create sound from the rubbish. Lastly, the performance will keep going on with my e-waste instrument. Like as I’ve been doing with Lucija(cellist) as our experimental sound art project Fruit From the Forest, I would like to keep doing collaboration. However, I also do it by myself from time to time. So together with research and making, I should develop and design the performing part both for collaboration and solo performance. A took kit that contains e-waste hacking manual and e-waste components. Bauman, Z. (2003). Wasted Lives: Modernity and its outcasts. Polity. Cascone, K. (2002). 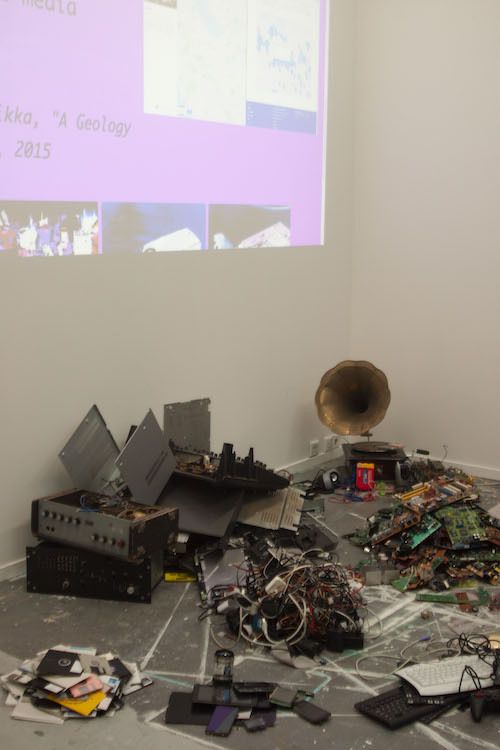 The Aesthetics of Failure: ‘Post Digital’ Tendencies in Contemporary Music. Computer Music Journal, 24(no.4, pp.12-18). MIT Press. Collins, N. (2006). Handmade Electronic Music: The Art of Hardware Hacking. Taylor & Francis. Gabrys, J. (2011). Digital Rubbish: A natural history of electronics. University of Michigan Press. Gibson, J. J. (1979). The Ecological Approach to Visual Perception. Boston: Houghton Mifflin Harcourt(HMH). Lauwaert, M. & Westrenen, F. (2017). Facing Value. Valiz. Parikka, J. (2015). A Geology of Media. University of Minnesota Press. There was feedback sessions on 28th Nov of my study. Since the new semester has stared, I’ve been mostly busy with researching theoretical references and narrowing down my ideas and thoughts. Besides, I got opportunity to present my work at SIGN gallery and had several performances at the gallery as well as grand theatre(for tut tot tut festival). So on the three axes - research, making and performance, I’ve worked on research and performance parts but there’s not much progress on making part until feedback session. 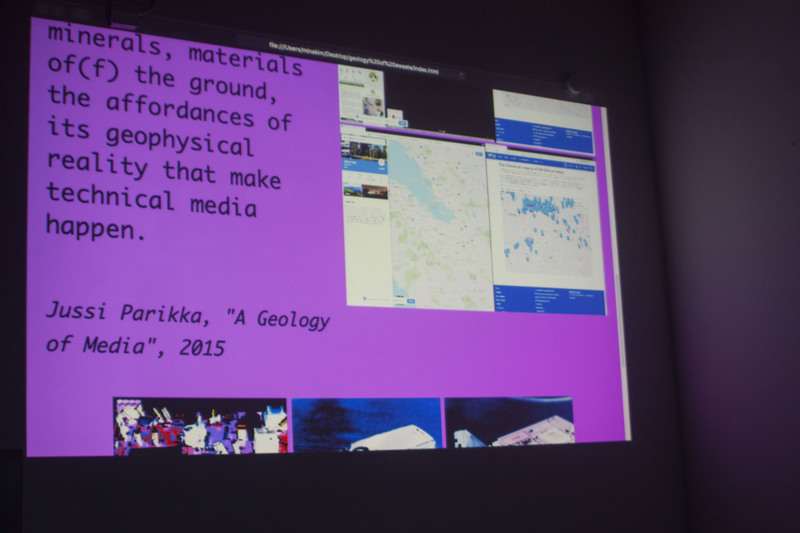 At the time, I was reading A Geology of Media by Jussi Parikka and Digital Rubbish by Jennifer Gabrys, and couldn’t develop my own perspective so much. Thus what I presented was mostly about my research process and ideations about my thesis. What I’ve newly found so far, and how do I want to go further etc.